Time in Florida is winding down. We leave for North Carolina at the end of the week. 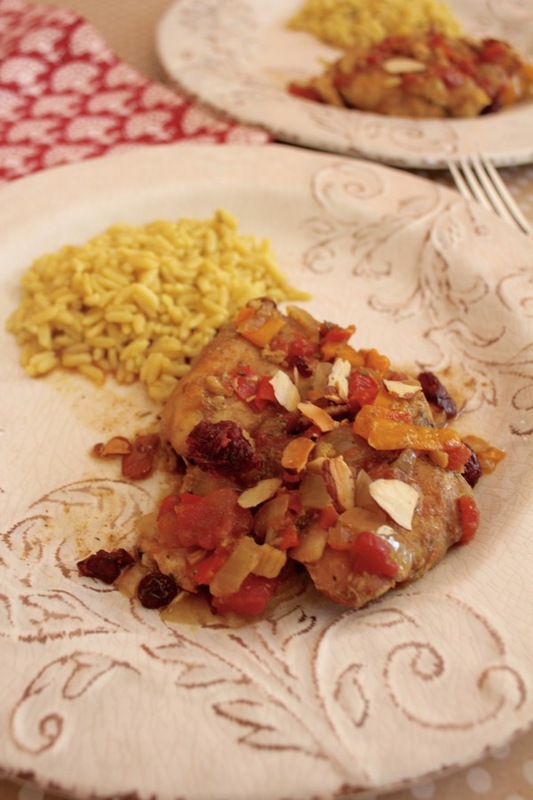 I have been looking for recipes to use up food items in the freezer and the pantry. 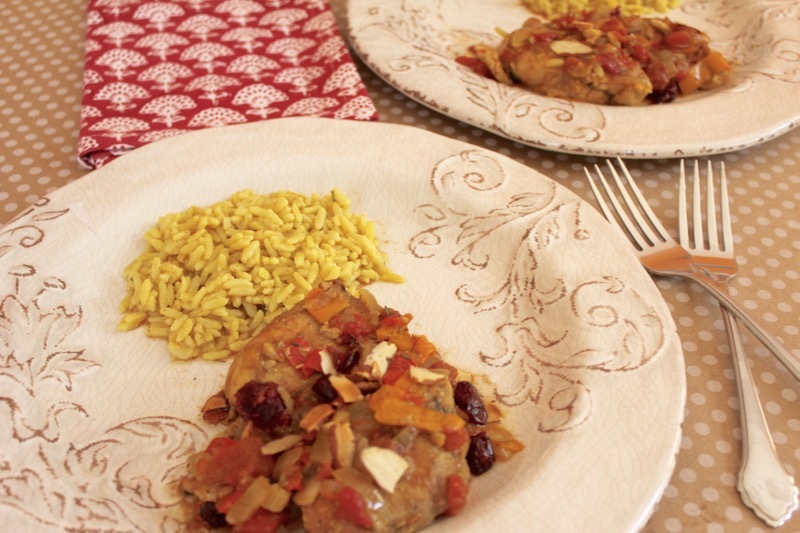 This Country Captain Chicken recipe fit the bill. I have blogged about this chicken curry casserole before here. And here. You can tell I am fond of the ingredients. The difference with this recipe is the hands-off use of the slow-cooker. According to legend, curry powder and the recipe for Country Captain were brought to Charleston in the early 1800s by a British sea captain. 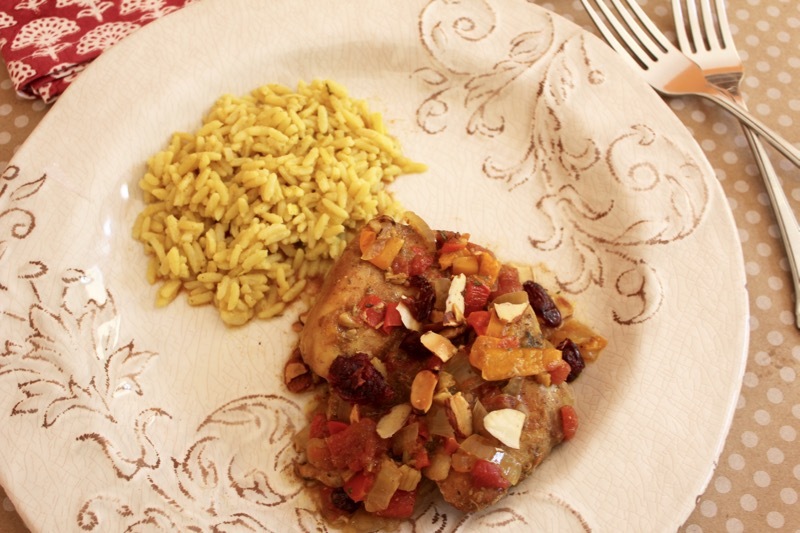 The dish includes chicken, curry, raisins, tomatoes and almonds. It is perfect to serve to a crowd accompanied by rice, noodles or mashed potatoes. Enjoy. Let’s welcome Spring. Looking forward to seeing the blooms on the trees in the mountains. Place onion, pepper and garlic in a 6-qt. slow cooker. Arrange chicken pieces over vegetables. Whisk the next 5 ingredients with the chicken broth. Pour over chicken. Cover and cook on high for 1 hour. Add raisins and tomatoes. Reduce heat to low and cook until chicken reaches 165°, 2-1/2 hours. Serve over rice; if desired, sprinkle with parsley. Sounds yummy! Looking forward to getting together once you get settled back in! Looking forward to it too Penny! Looks good! Safe travels back to the mountains!! I almost passed on this recipe because I’ve never found chicken and the crockpot to mix well together, however, this recipe sounds promising and with the short cook time and thighs, I’m thinking it could be a winner. Safe trip home! I agree Treva. The texture of chicken changes if it is cooked too long in a crock pot. This recipe works with the shorter cooking time. Thanks for your input. I’ve always heard of this dish but have never made it. I think I’ll have to change that soon. Safe travels home…hope you have good driving weather. If you like curry, you will like this Karen. Thanks for the send off. Will miss your Florida. This post was published by Penny on March 25, 2019.